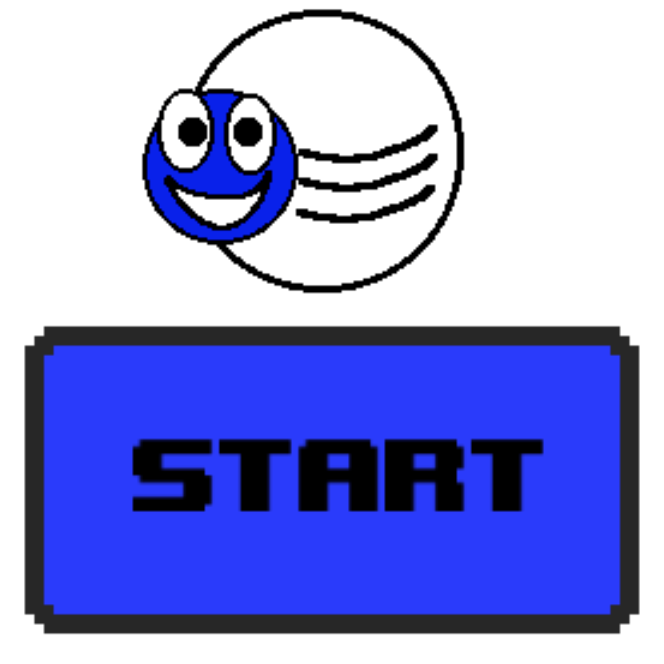 You will start the game on the home screen, where you will see a big blue START button, but don't press that yet. You did click this page to learn how to play, so you have to listen to all of the details, you aren't the type of brash person that just presses "START" without first reading everything, are you? You see your name in the game on the left, which defaults to Mr. Balling. 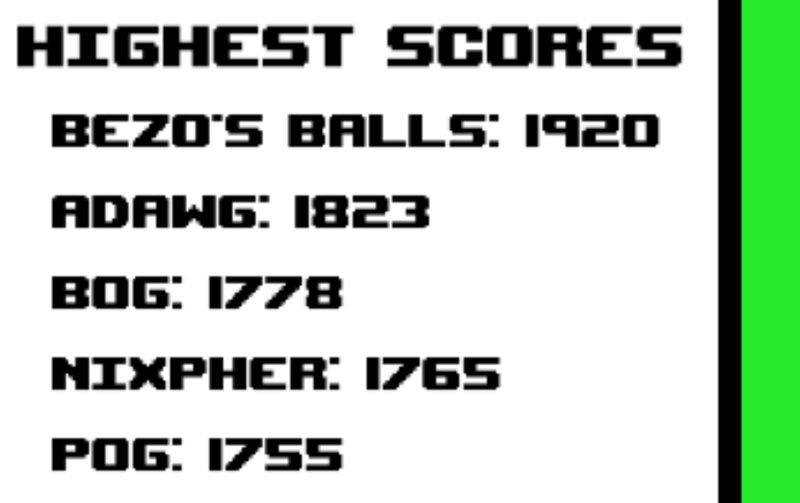 While you can certainly play as Mr. Balling, he loves gaining high scores just from unattentive people that rack is name up on the high score list. You may also want to include you own name or a nickname or Nick's name, the choice is yours, just click the text box to enter your chosen name. Below this you'll see your last score and your high score, both zero if you haven't played before, but also a handy way to see your progress and continually beat yourself. On the right you'll see the top scores from anyone who has played, and yes, with enough practice and patience you too can achieve this greatest of all honors and get on the high score list. If you aren't good enough to make the top 5 still check the high scores page as through shear dumb luck you may end up there. Finally you'll notice the "MUTE" at the bottom right of the screen, press this at your own risk, leaving the game unmuted may result in humming, dancing and all around getting jiggy with it. Now you start out as the little blue guy, that is Mr. Balling, say hello. You don't have control yet, so just see where he lands. Once he lands on the first ball you control him by clicking, tapping the screen, or pressing spacebar. That "Action" button shoots Mr. Balling off tangentially from the ball he is orbiting. Choose this direction carefully as you want to stay towards the center of the screen and avoid the red balls. You can hit the left and right sides only a few times, once they are red they will kill you. 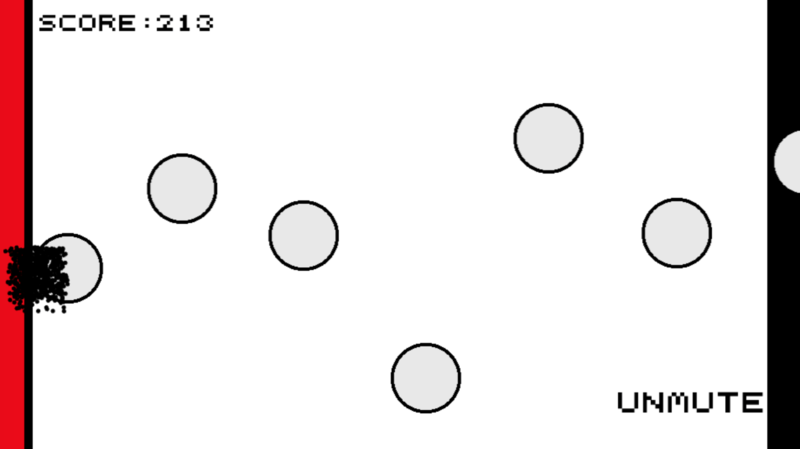 You can probably already tell what the basic strategy will be, but lets discuss some ideas. When I play I like to jump from ball to ball, feeling the warmth and safety of each ball I'm on whilst orbiting. This can keep you at the center of the screen and keep your jumps short so they are easier to manage. 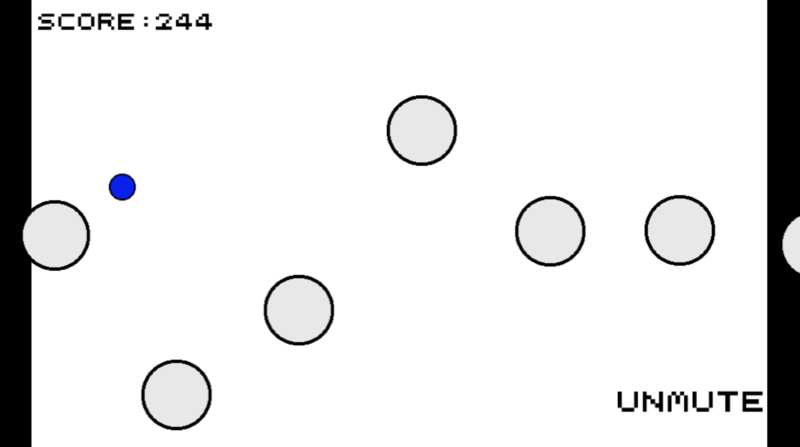 Alternatively you may design that you like to stay on one ball for longer, you sit there orbiting until you get towards the left side of the screen, then you shoot all the way to the right and land on another ball. 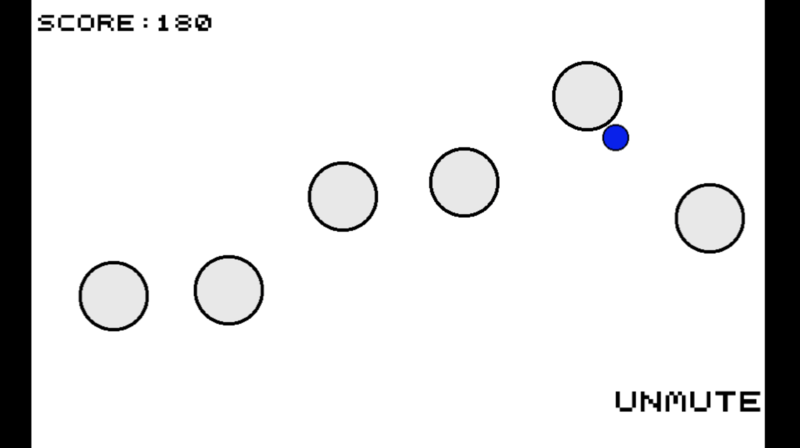 This can minimize the amount of jumps you make, but increase the risk of missing the ball you are aiming for. Well, congratulations, you think you've mastered the basic gameplay, and all it took was 27.1 seconds. Now your confidence is booming and you are ready to tackle more advanced strategery. This may shock you, but that is really it, like seriously, it's not supposed to be a complicated game. 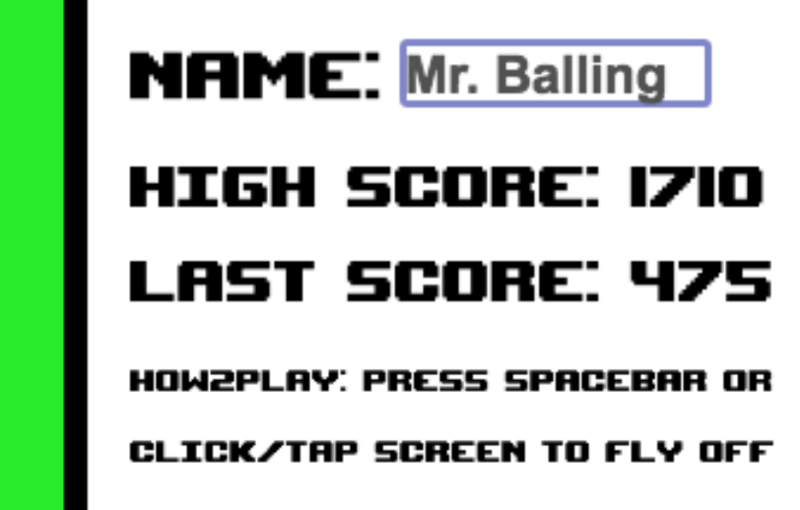 Mr. Balling is a superfun little arcade game, simple to play and all things to all people. Now get out there and get that high score.